Among the many things I learned about Milton during my volunteer training for the Milton Historical Society is the fame of the “Lofland Brick,” made in kilns in Milton from clay obtained in pits at Cave Neck, just outside of town, from about 1899 to 1930. This was high quality brick with a distinctive orange color, stamped with the letters MILTON to identify the Milton Brick Company that produced it. The “Lofland” in the name of the brick is Alfred H. Lofland (1873 – 1958), one of many individuals in Milton with that surname, and the one name everyone seems to associate with successful brick manufacturing in Milton. The newspaper accounts of the day tell a somewhat different story of how brick manufacturing became a successful industry in Milton. The name that comes up first and enjoys great prominence is that of Robert Crocker Beardsley (1853 – 1919). His family came rather late to Delaware; Robert’s father Gideon Judd Beardsley (1818 – 1879) was the first to settle in the state, sometime between 1870 and 1874; Robert married a Delaware woman, Eliza Clendaniel, in 1874. The paternal line of the family extends back to William Beardsley (1603 – 1661), who arrived in Boston from England in 1635. Also in that line is Robert’s great-grandfather Nehemiah Beardsley (1731 – 1811), a colonel in the Connecticut militia during the Revolutionary War. Robert Crocker Beardsley was a man of multiple talents: he was a farmer and mechanic (skilled craft worker) before and while he was a brick manufacturer. Besides farming, he ran a lumber mill and sold building materials throughout the 1890’s. He entered into the brick manufacturing business around 1899; two news items from the Wilmington Evening Journal in 1899 attest to that. On June 26, the Evening Journal reported that John Smith of Houston was associated with Beardsley in the manufacture of bricks, working out of a yard at Simpson Landing on the Broadkill; that association did not last long, apparently. 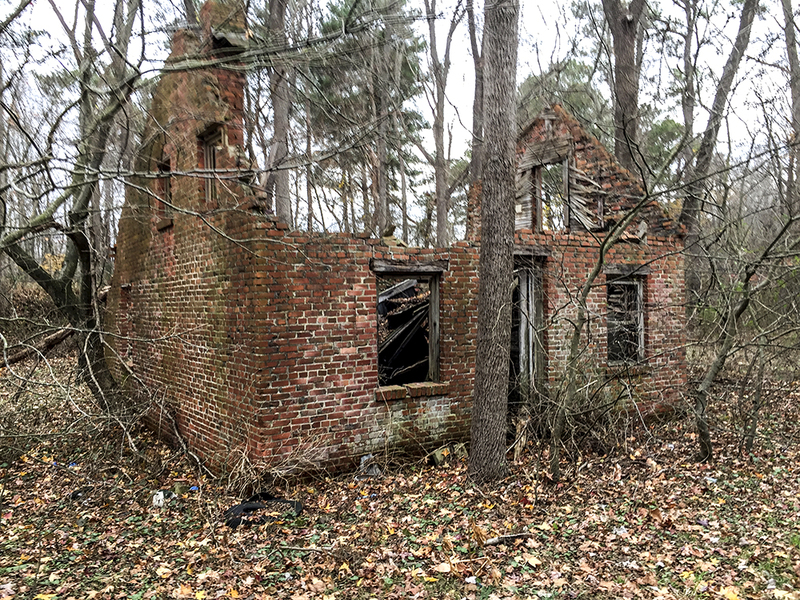 On August 16, the Evening Journal reported that he burned a kiln of 110,000 bricks, with the writer hoping he would be successful in the venture; most brick manufacturing in Milton up to that point had failed. The venture must have been successful, because Beardsley was in the process of expanding the business in 1901. He is reported to have bought the boiler from a burnt canning factory on February 8, 1901; he moved the boiler to his brickyard shortly thereafter, and had it laid it on a foundation on April 5, 1901, in preparation for making bricks. His plan to make 150,000 bricks that year is reported on April 26, 1901. It should be noted that R. C. Beardsley had other enterprises in operation in 1901, including a business selling building materials and other hardware, and a box and basket factory north of the Broadkill which appears to have been a summer enterprise. We know of the building materials business from two accounting ledgers in the Milton Historical Society records, while the box and basket factory is mentioned in a directory of Milton businesses from 1898. Sometime between the report of April 26 and that of October 11, 1901, he formed a partnership with Alfred H. Lofland. The Milton Letter in the Milford Chronicle of the latter date is the first mention of Lofland’s name in association with Robert Beardsley. The two partners continued their expansion of the business and their product was in great demand. The Milford Chronicle’s Milton Letter of March 21, 1902 reported on the partners’ acquisition of the Peter Dutton farm in Cave Neck for its source of fine clay, something that would boost their ability to meet increasing demand. The partnership did not last very long, however. Late in 1903, Robert C. Beardsley contracted a severe illness from which it took weeks to recover, and according to a descendant’s story, the box and basket factory burned down. Shortly after his convalescence in February 1904, he sold his share of the business to Alfred H. Lofland – the junior partner in the business. The April 15, 1904 Milton News letter in the Milford Chronicle reported that Beardsley then sold all his remaining property and possessions in Milton, and having bought a farm in Townsend, MD, moved his family there. 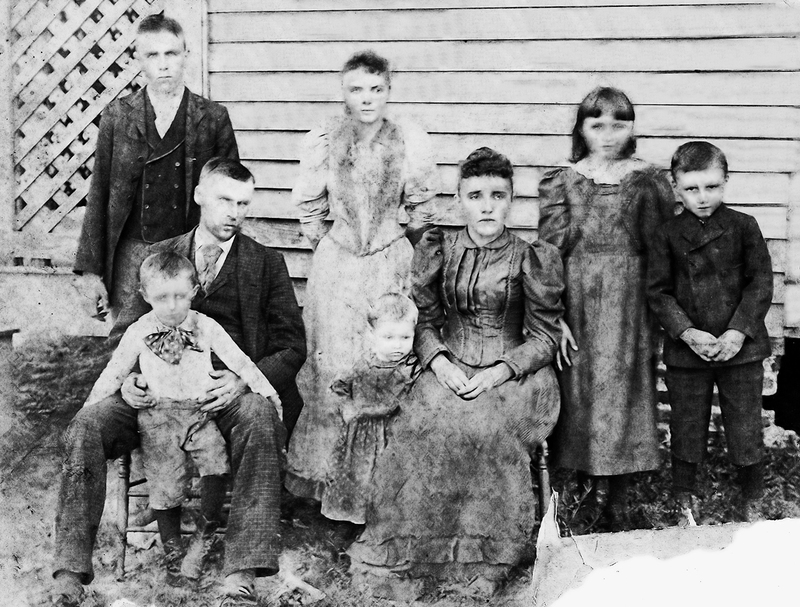 In 1904 grandpop’s basket factory burned down. He then sold everything he had in Milton and bought a farm on what was then Barlow’s Bridge Road in Townsend, DE; the road name was later changed to Lazy Lane and is now called Ratledge Road. 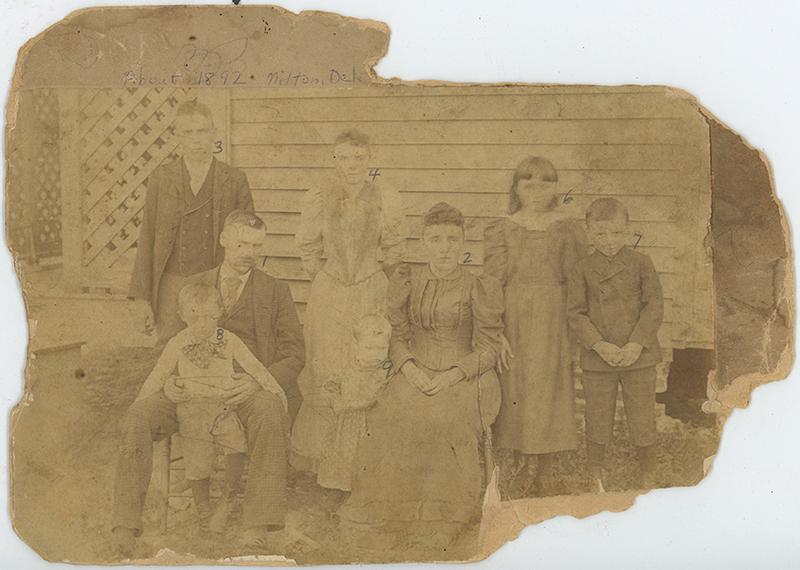 The two oldest children [Walter Fisher and Mary Elizabeth] were married and stayed in Milton [Walter actually married in 1905]. Grandpop and Grandmom with three of the youngest children came to Townsend on the train. Two of the boys, Darwin and Robert, walked – with a wagon load of chickens and a cow tied to the back. South of Dover the cow got tired and laid down and rested for a while. They did manage to get to Dover the first day where they found lodging for the chicken and cow. Dad [Robert] & Uncle Roe [Darwin] stayed in a hotel which was on the northeast corner of Loockerman & State Sts. They all got to Townsend the next day. Portions of two of the four nearly identical houses on Milton’s Hazzard Street, constructed with Lofland (Beardsley) bricks. Note the characteristic orange hue of the bricks. The buildings are believed to have been constructed in 1916. One of the buildings of the former Milton Brick Co. (formerly Lofland Bricks, formerly Beardsley & Lofland), north of Cave Neck Rd on Round Pole Rd (Brickyard Rd); this was probably an administrative building or manager’s office. 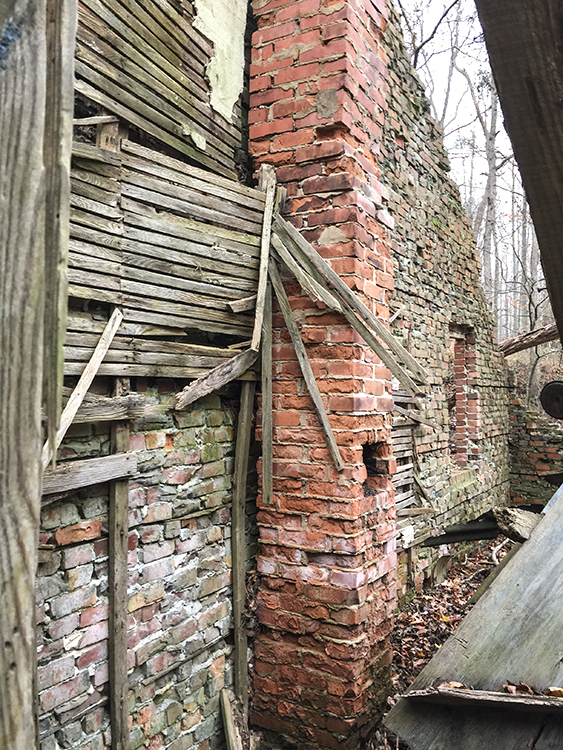 Efforts to have the site designated as of historic value, as the location of Milton’s brickmaking industry, have not been successful. The manufacture of bricks by Alfred H. Lofland continued long past the parting of the ways with Robert Beardsley. Alfred incorporated in 1909 to raise $50,000 capital for expansion, and in 1924 bought a Wilmington brickyard with the capacity to produce 8 million bricks annually. However, the Wilmington Morning News of November 25, 1931 reported that 6 creditors of Lofland Brick Manufacturing, Inc. filed a bankruptcy action in Federal court for unpaid debts. Whether the bankruptcy was due to the effects of the Crash of ’29 or other factors is not known by me at this time. Another company, Milton Brick Manufacturing, Inc., was chartered by the State of Delaware in April of 1932; the Loflands were not among the shareholders and officers. The new company was owned by Landreth L. Layton, Halsted P. Layton, and E. Harley Ryan; the Layton family still owns the property. The company changed its name to Crystal Drug Co. in 1937, and I assume that it had ceased the manufacture of bricks by then. At the moment, I am still looking for a photograph of the brickyard during its heyday, which should be in the MHS collection but cannot yet be located. Another fine example of investigative reporting. 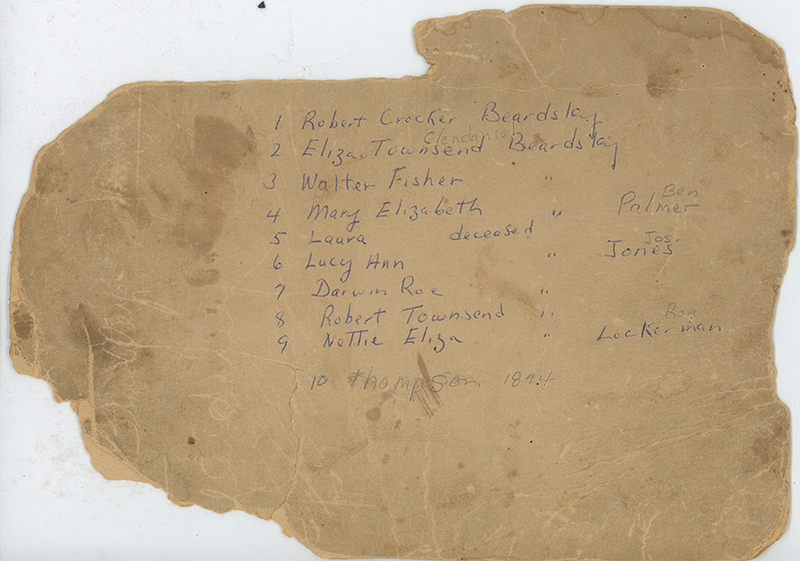 I love the fact that you are able to connect these older Miltonians with some of their contemporary relatives and keep the story refreshed! Great work! Much appreciated! Thanks Lee. I wish I could tell you that the post was a planned piece that came in a logical sequence; the fact is, I stumbled on the Beardsley photograph in the MHS attic, and remembered the name from some early Milton News letters; I then stumbled upon the story Robert T. Beasley told some years ago, in the MHS accessions catalogue. Pure luck! Love reading your posts! Alfred and Madeline Lofland were my neighbors when I was a child on Federal Street. Since I was very young I never knew anything about the brickyard. I’m sure because of the name they were descendants. Very few people alive today know about the brickyard or its location. If not for an article in the Caoe Gazette, I would not have known where to start. 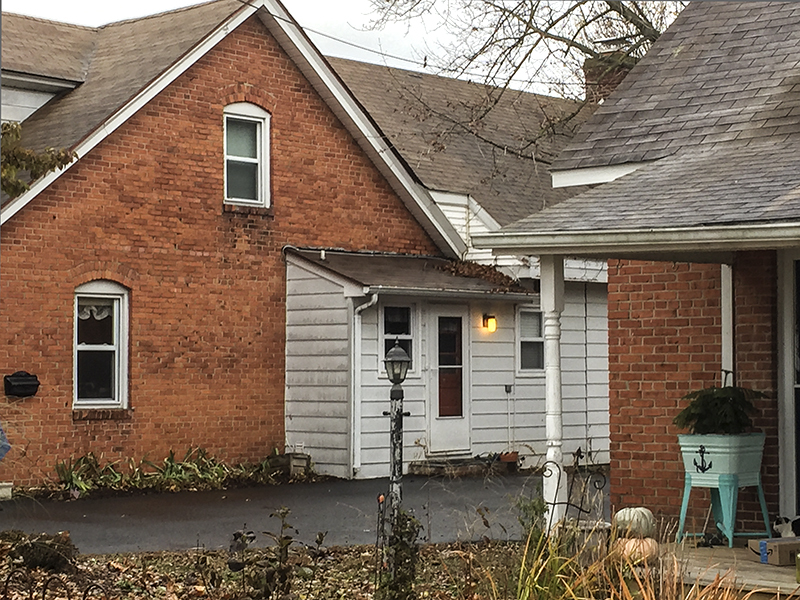 The Layton family has, I believe, received approval to develop 52 acres in that vicinity, which would be called Brickyard Landing after the spot on the Broadkill used by boats to transport the bricks from the yard to customers. The development would require the demolition of the three or four ruined buildings that were part of the brickyard, and that was what the article was about.